It is with great sadness that I have to inform you that Rose passed away at 2am January 10th 2017. She had been fighting advanced breast cancer that had spread to her bones and lungs. The last few weeks were spent in great pain. Her palliative care team put her into a semi-coma some days ago to block out the pain She died peacefully with me at her side. Rose greatly enjoyed interacting with her blog friends and the “family” at Down to Earth Forum. Please remember her fondly and continue to be inspired by her words. I am not sure exactly how blogs work but I will try to keep it open for a few months then shut the blog down. We grow sufficient leafy vegetables, tomatoes, herbs to supplement our purchases from markets and greengrocers. Space restrictions limit the amount of fruit we grow to some lemons, the occasional strawberry although we do have some new plants in. Subsequently I tend not to be aware of when some crops are at their most bountiful so it may only be when a friend kindly hands me a bucket of fruit or I pass a box of discounted tomatoes in a shop that I become aware it’s a good time to preserve. Having a job outside the home also limits my time so I’ve decided to be more proactive about preserving. This year I am reading the delightful Sally Wise‘s A Year on the Farm. I like that the book is linear in its exposition — month by month and, within that, week by week we learn what is ready to eat on the Tasmanian farm accompanied by many great do-able recipes from Sally. I decided that the best thing to do was bring all of these together so I’m now in the process of combining all of these into a Seasonal Preserving Calendar that will be tailor-made for our needs and food preferences. 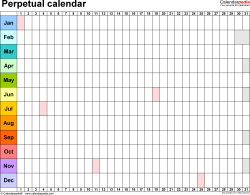 By combining Sally’s recipes and harvests with Rhonda’s recipes, with what is happening locally and considering what we like best to eat and give as gifts I hope to end up with a custom-made Calendar. I’ll share it with you when it’s done. It would be interesting to know if you have a solid system for managing your preserving? Have you met the Australian Ethical Shopping organisation? 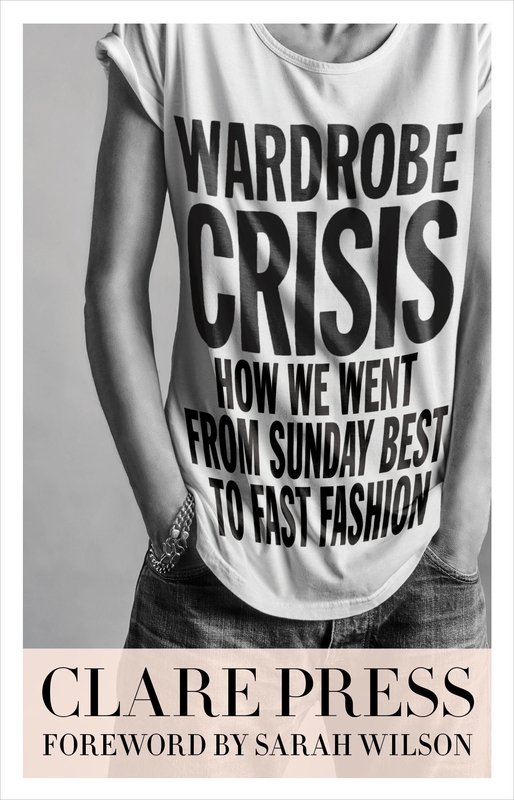 I’ve just finished reading a startling new Australian book called Wardrobe Crisis written by Clare Press who’s worked in the Australian and British fashion industry for a couple of decades. She’s editor at Marie Claire (Australia) magazine, she’s worked on major fashion publications, in design and been published widely internationally. Rhonda mentions the freezer in the June chapter of The Simple Home as an ideal place to preserve abundance, maybe even stockpile and manage your food resources throughout the year. I think that in the past, many of us thought of the freezer only in terms of sides of meat or loaves of bread that may or may not have proved to be a saving. The important thing with the freezer is to have it serve you well, to ensure that it makes your cooking from scratch easier, that it offer you a means to manage fresh produce well. The Europeans seem to set the pace in so many aspects of being green, I suspect that living in an area of high population density where you have many neighbours — literally and on your national borders — makes you more conscious of the outward effects of your personal decisions. Though I’m not a girly girl I do use skincare products as well as some makeup, I like to know what I’m using, what’s in it and where it came from. My serendipitous stumble onto Nath’s blog last year has been a total win. Once upon a time I was quite familiar with current magazine titles, in pre-Internet days I’d have four or five different titles each month, read them fairly in-depth and buy new ones the following month. Around the millenium magazine editors were worried that the growing interest in the Internet would cause the demise of magazines so many of them went out on foolish limbs in an effort to maintain their readerships. This, coupled with ever growing advertising, prompted me to cut out magazines for over a decade. In the past few years however a few edgy, hip, non-mainstream titles have appeared, Pip a permaculture magazine, Peppermint an eco-fashion and lifestyle magazine and latterly a couple of food magazines which are less celebrity cook focussed and more about home cooking. I’m quite taken with Donna Hay’s new Fresh and Light which is about eating well, eating clean and green. I’ve always admired Hay who came from an ordinary Sydney suburban background as a cook — not a chef — to become an icon of simple stylish Australian food. Unfortunately she brand endorses everything from crockery to aprons, she has pre-mixed food products on supermarket shelves and is always looking to expand the empire, activities which I believe cut her concentration on the food recipes. That said, she has a good take on food if somewhat meat heavy and “hero ingredient” focussed rather than offering a balanced meal. Fresh and Light has a good number of very good recipes which can be made as whole meals and Hay’s baking recipes using different flours and other baking ingredients are incomparable. I think sweet recipes have always been her forte. Eating Well is the poor cousin subsidiary of the Well Being stable. The budget is obviously limited and I have to wonder if there is any testing of recipes before they are printed. That said, this magazine is full of good healthy food ideas. Alternate sections of the magazine are “Sponsor recipes” featuring a particular product such as Mckenzie’s lentils, but most of those recipes can be used with a substitute product. Have you found anything interesting on the magazine shelves? In June of The Simple Home Rhonda discusses food preserving and food storage. Preserving can be a big deal, I think many of us who live simply have a mental image of a lovely huge pantry filled with colourful jars of preserved food but we may not have the time and the resources to produce this. Similarly, food storage can suggest a massive prepper-style stockpile which isn’t my personal goal although it is for some, as always, Rhonda encourages us to preserve and store what is right for us. Currently my time is limited by my outside job so I preserve less than I’d like, all the same I do make small batches of jams/marmalades, pickles etc. As we don’t produce large amounts of fruit and vegetables my preserving produce comes from buying cheap end-of-season produce at the greengrocer’s or markets, or the bounty of kind friends. With small batches we can enjoy eating or giving away superb food items, there is simply no comparison between home preserved and bought items. I also use the freezer as a preserving tool. For us it’s not worth investing in sides of meat but it is worth occasionally doubling a purchase if the price is good (particularly at the fishmonger’s), double cooking also means that I have a meal for another night (no prep!) or multiple single portions for lunches. A couple of months ago a friend generously gave me a few kilos of black cherries which are still languishing on a freezer shelf as I didn’t have time to make jam then but they are waiting to become a winter treat. Over at the Forum I learned that I could simply pack them tightly in a sturdy plastic bag and flash freeze for future cooking. No blanching! I have a good dehydrator but am yet to exploit it thoroughly, I’d be interested to know if you have tips in that area. My stockpile consists of pasta, grain, flours, tinned items that help me to cook well and easily from scratch. I rarely shop for supermarket items more often than fortnightly, sometimes less often, which saves my time, sanity and money. The perfect Get Well gift. Thank you Yvonne. The kindness of cancer volunteers...tired dry feet metamorphosised into Happy Feet. From the window of this room where I am feeling so much better. Here we are looking across the Uni campus to the escarpment. Gorgeous part of the world, eh? At last after many twists and turns and four weeks in and out of hospital, oncology for breast cancer starts this week. Blog, forum and IG friends have been much on my mind.